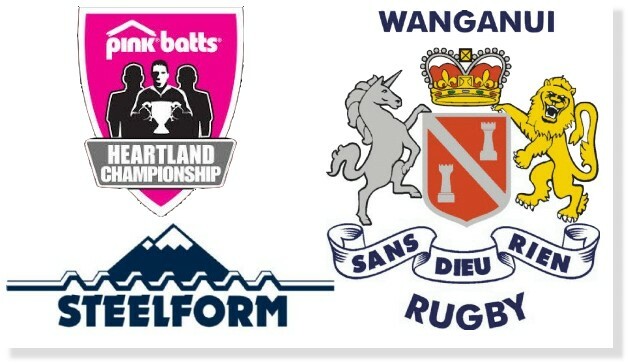 Eight newcomers to Wanganui first-class rugby are included in the 26-strong squad named for the 2014 Pink Batts Heartland championship campaign. They are backs Jaye Flaws, Josh Hamilton, Williams Short, Clive Stowers and Dane Whale plus forwards Kamipeli Latu, John Laurie and Viki Tofa. Three loan players – first five Hamilton (Taranaki) and mid-field backs Rhema Sagote (Auckland) and Tevita Taufu’i (Manawatu) – have all played Heartland rugby previously, Hamilton for Horowhenua-Kapiti and the other two for Wanganui. Five players have been trimmed from the wider training squad and they will join the back-up Wanganui Development team. They are backs Samu Kubunavanua (Utiku OB), Kameli Kuruyabaki (Pirates), Sailosi Naqiso (Border) and Nick Tipling (Hunterville) and loose forward Malakai Volau (Utiku OB). The squad was named after warm-up games against King Country and Manawatu B with the first championship match against South Canterbury at Timaru tomorrow week. Fullbacks: Ace Malo (Kaierau), Dane Whale (Taihape). Wingers: Simon Dibben (Marist), Jaye Flaws (Taihape), Clive Stowers (Pirates). Mid Field: Tautahi Rawiri (Ruapehu), Rhema Sagote (Auckland), Tevita Taufu’i (Manawatu). First Fives: Josh Hamilton (Taranaki), Zyon Hekenui (Ruapehu). Halfback: Lindsay Horrocks (Border), William Short (Ruapehu). No 8: Tremaine Gilbert (Taihape). Flankers: Andrew Evans, Peter Rowe (Ruapehu), Darren Munro (Kaierau), Faalafi Vave (Pirates). Locks: John Laurie, Sam Madams (Border), Sonny Woodmass (Ruapehu). Props: Kamipeli Latu (Border), Sean McDonough (Ruapehu), Viki Tofa (Marist), Lasa Ulukuta (Pirates). Hookers: Cole Baldwin (Border), Roman Tutauha (Ruapehu). Anyone unavailable is asked to contact team manager Chris Back (027 447 0965).